I’m one of those people who doesn’t read instruction books. I get the latest gadget and I’m gripped with a certainty that I know how this thing works. Either that, or I’m blinded by impatience and I jump straight to trying to use the thing. Sometimes I get away with it. But I’ve sometimes broken my latest gizmo thanks to my assumption that I know where to start or what to do next. I miss things. Possibilities are obscured by my assumptions. Lots of people are like me — particularly with websites and digital products. In fact, most websites and apps don’t even come with instructions. Even when pop-ups or “on-boarding” screens try to teach us how to use a digital place, most people are quick to assume they already know what they’re doing. But designed digital products and services aren’t “inherently intuitive” by default. They’re the result of conscious intention and effort to make them usable. I’ve been designing digital places for people to have experiences in for more than a decade. I’ve specialised in information architecture. It’s the art and science of organising information to be more meaningful and useful. Information architects (IAs) are particularly interested in categorisation as well as navigation and way-finding. At an upcoming conference I’m going to try to combine my interests and my personal story to talk about how IA and UX thinking can help you make things that are easier to make sense of and use. I was introduced to the phrase “rendering of intent” by Jared Spool. The alternative to a designer rendering their intent is them creating something unintended. You’ve probably seen accidental design disasters that are a result of unintended consequences. I like to collect examples of unintentional architecture — where the interaction between the elements has unintended consequences. I use these examples of ‘unintentional architecture’ as motivation to always consider the architecture of the things I design. I started considering the ‘Elements of User experience’ after reading a book with that title. Written by Jesse James Garret in 2002, this book is still a great introduction to thinking about how the different layers of a design interact. As a designer, it can be easy to fixate on an interface or a tricky bit of interaction design. But sometimes the problem you’re trying to solve is impossible because of the framing you’ve given it. Adjusting the frame through re-designing the skeleton or structure of a design can sometimes unlock a solution that would otherwise remain intractable. 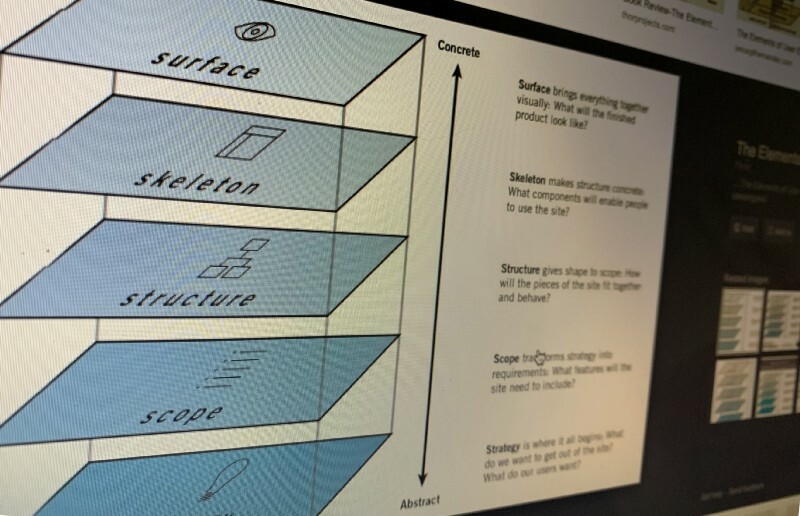 Likewise, sometimes redefining or explaining the strategy or scope of a digital product or service is the most useful thing a designer or IA can bring to a project. Understanding the right type of thinking — converging on a fixed idea to manage complexity or using a divergent mindset to embrace and explore a broader set of possibilities — is the second skill I like to see in designers. At different points in a project you need to be able to adopt different styles of thinking and collaborating. 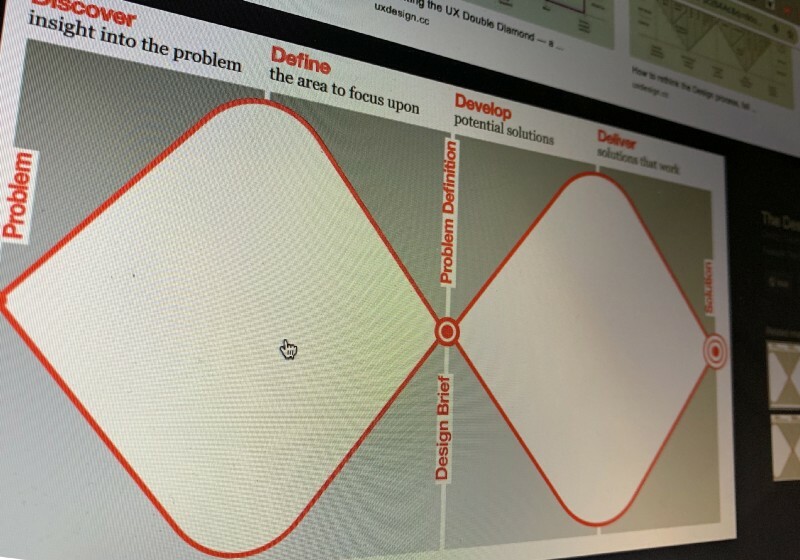 The Design Council describe a divergent and convergent process, or “Double Diamond” that teams and individuals can adopt as they explore possibilities and decide between alternatives. I think it’s a pretty good model to adopt as you design anything. 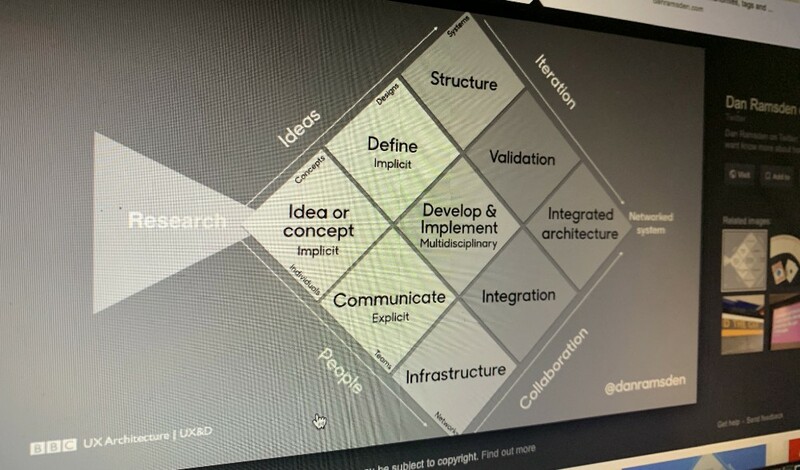 So as I’ve developed my own practice as an information architect and creative director I’ve thought about how I can help us understand how and where we can have the biggest impact as we design digital products and services. 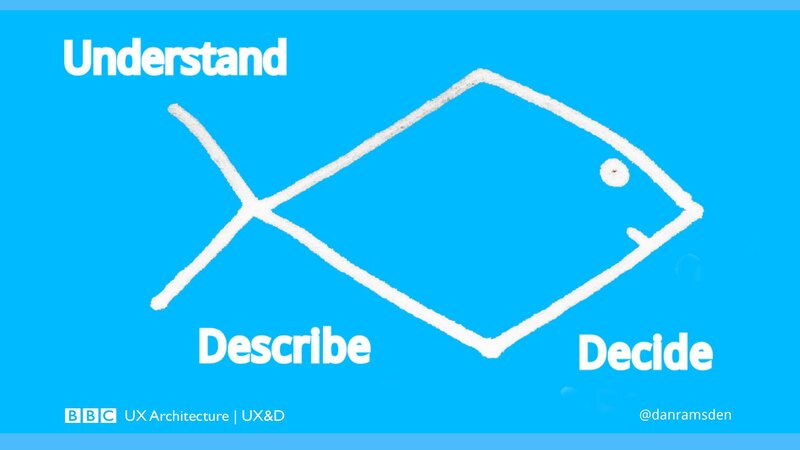 Dan Ramsden’s Fish of Design™ is my attempt to understand and describe the different parts and types of thinking needed in design projects. It’s a diagram that’s designed to help us understand the different types of thinking that might be needed as we design things. After-all, most design projects and challenges don’t come with instructions. We often fail when we jump straight into trying to solve a problem without understanding it. And jumping straight in without understanding where you should start or what you should do next can have unintended consequences.